Sometimes inspiration comes at the strangest times. For me, inspiration came while I was subbing in a self-contained Special Education classroom. I was supposed to be teaching them Social Studies, but I found myself making jokes as I stopped one student from attempting to stab his friend with a pencil a second time. They stopped trying to eviscerate each other when I made a joke about the kid being stabbed having too high of an AC. While they asked me why I was talking about how cold it was in the room I was trying to keep up with how fast the wheels in my head were turning. Over the years I had tried to get a gaming club going at my school, but I found little interest among the kids. I was competing with their phones, video games, and even a smattering of collectible card games. When I broke up the attempted puncturing of that student I knew I had the perfect group to playtest with. One of the things no one tells you about the kids that end up in self-contained special education programs is that many of them know that the rest of the educational system has given up on them. They have experienced the frustration of being kicked out of class because of your reputation, not your actions. They have seen the teachers who stop asking for homework because they just assume they did not do it. These kids knew they were given the lowest set of expectations by a system that spends so much time having meetings about the students that their teacher rarely has time to be in the room. I knew where they were because I had been in their place. I also knew that their teacher was at the end of her rope and ready for any help that came her way. I was ready to make her an offer she couldn’t refuse. After a little bit of planning, I met up with the teacher for whom I had been subbing for. I suggested she let me try out a heavily modified homebrew of Dungeons and Dragons to teach her students about Early American History. It didn’t take much to convince her to let me take the kids off her hands every Thursday afternoon for the rest of the year. With that, we crafted a pitch that smothered the fact beneath educational jargon and fed it to our principal. He was a smart man and knew my involvement meant there was probably something objectionable happening. I was preparing to DM for the most challenging group of players I had ever faced. The biggest challenge was introducing them to the structured rule system without overwhelming them. I decided that we would begin with just the D20 and use checks and direct competition as needed. I also needed a system for damage that was simple enough to understand in 3 minutes or less. Since I was using LEGO minifigs to represent all the characters in the game I used the arms on the minifigs to signify damage. Both arms up represent full health, then one arm down is half health, both arms down is low health, and finally lying flat was knocked out. It was simple to understand for all the students and would be improved upon later as they became comfortable with the existing mechanics. Later, I introduced healing, extra health for tanks, sneak attacks, and other common mechanics. The world building was difficult as well, I had to align what I was giving the players what they should be learning in class. The easy part was coming up with the idea of being time-traveling adventurers. The hard part was keeping up with the content that would often change quickly and I needed to make sure the activities could be completed in one session. I made slideshow presentations to recap previous events and to engage the students in current events. I tip-toed around killing in my world by explaining that we could not predict the disruption to the time stream. It was difficult to predict how much we could accomplish in a session because the students often reacted in unpredictable ways depending on their current emotional state. As far as they were concerned this was mandatory fun and they were going to fight it. Over the year I won them over and built a relationship based on trust and a mutual understanding that we were all getting away with something by playing this game. By the end of the year, the students were saddened to conclude the adventure. We skipped learning for the last two sessions and battled a Kraken. The composition of the students remained mostly the same and I observed some profound changes. The group as a whole had developed improved social skills, the student on the autistic spectrum who was addicted to her computer had become a leader in the group and no longer needed her computer in the room when we played. Her ability to plan and guide her classmates won their respect and built her confidence. The two boys who were troublemakers of the highest order began to understand the consequences for their behaviors and were able to express their emotions in a more constructive way. The teacher who had the faith in me to let me try out an insane idea on her students admitted to having a great experience and together we took a big step towards helping the students succeed. 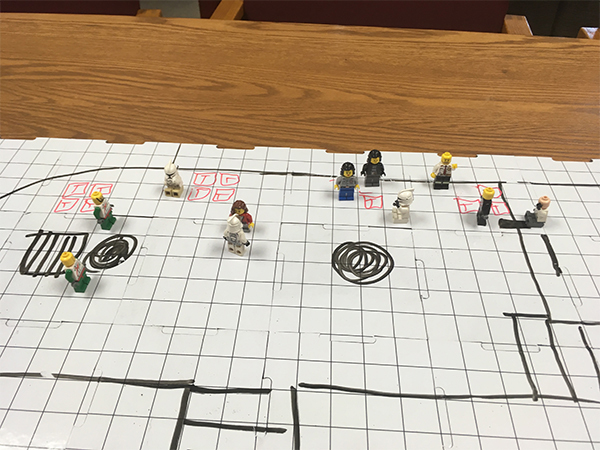 Over the course of the year, we integrated many other subjects into our game and demonstrated the power of teaching paired with roleplaying games. Our secret experiment went mostly unnoticed by the school staff, but it will never be forgotten by those involved. 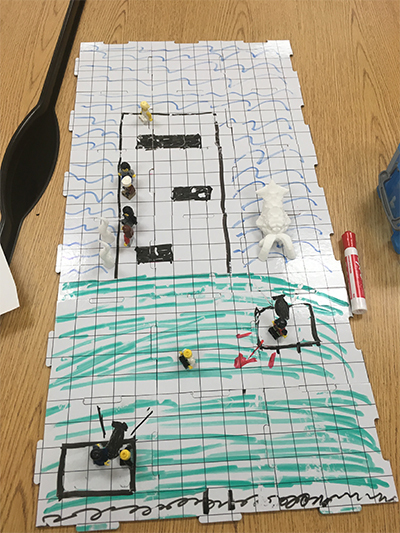 Being able to use the skills I built over years of playing Dungeons & Dragons were put to the greatest use imaginable; I rolled dice to teach the students that society had written off and it was a critical success.